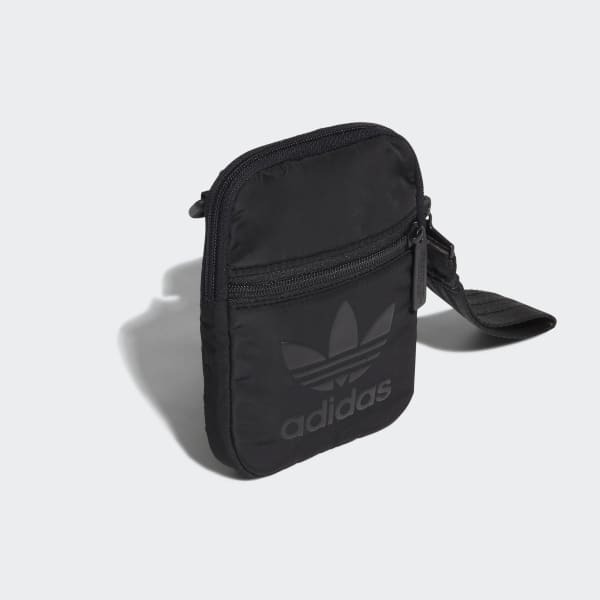 A small and stylish bag with subtle adidas accents. This simple little bag is big on style. Made with a soft and sturdy material, the versatile design can be worn on the shoulder, at the waist, or even carried by hand. There's a subtle Trefoil on the front, and an oversize zipper pull made of seat belt webbing.